Pick up the essentials of the Latin American Spanish language with this easy-to-use audio introduction. Covering everything from finding your way to talking about yourself, this Collins 40-minute audio can help you learn short and simple phrases quickly by just listening and repeating. 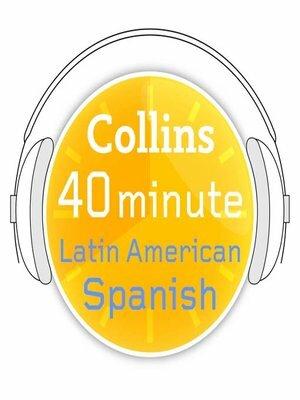 This audio lesson is also designed to compliment the Collins Gem Latin American Spanish Phrasebook for an indispensable language guide.